Not long after Luke and I got married his nan gave me a basic sewing kit so I could hem up pants. Both Luke and I have short legs so we always need to get them taken up. When I lived in Dubbo I had a family friend who would hem my pants for me. I’ve always had little confidence in my sewing ability particularly in high school. I hated home economics class. I remember my first project was to sew a small stuffed bear. My teacher (God rest her soul) proceeded to inform me that the bear I made was the worst she had ever seen and she had been teaching for a long time. I spent more time unpicking then sewing in Home Ec. Many frustrated tears were shed. I knew it had to do with having Aspergers and because of this my fine motor skills sucked but to be fair my teacher didn’t know and I wanted to prove that I could do it. I just might have been a little slower and my stitches may be a little wobbly. Also having the odd meltdown really didn’t help with the shaky hands. Ugh. So now in adulthood, I’m married. Lets be real here, even though this is 2013 I am the one who is expected to do the little sewing fix ups and hem ups because lets face it my loving husband aint gonna be sewing up his own pants. This is why his nan gave me the sewing kit. Even with my bad fine motor skills my little fingers have a much better chance of getting around that needle and thread than my hubby’s chunky man hands. Plus what the heck, I’m up for the challenge. Hubby’s nan wrote some instructions but I couldn’t understand them so I googled ‘how to hem jeans by hand I found this gem. I also went on YouTube to find an easy way to start and finish stitches. This video shows how simple it is. Well, once I get past my wobbles, it’s easy. 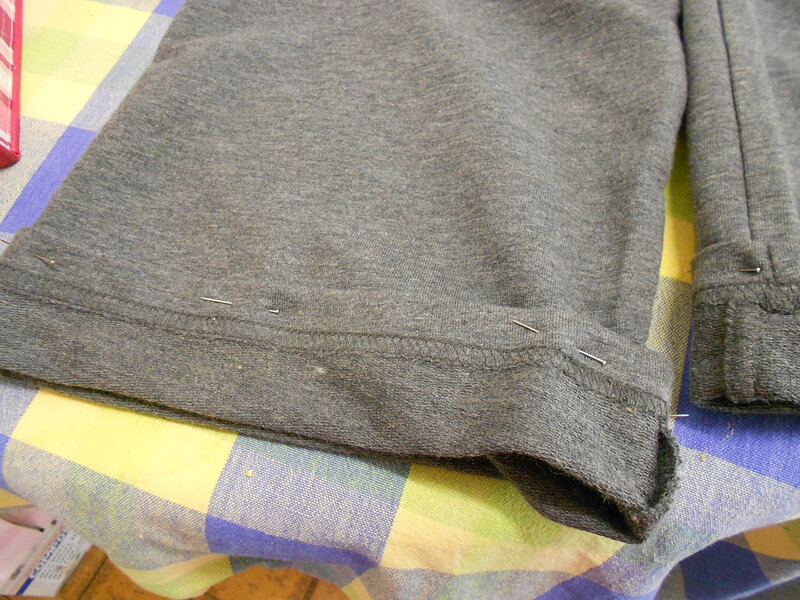 I practiced first on an old pair of jeans which turned out pretty well, apart from a couple of stitching hiccups. 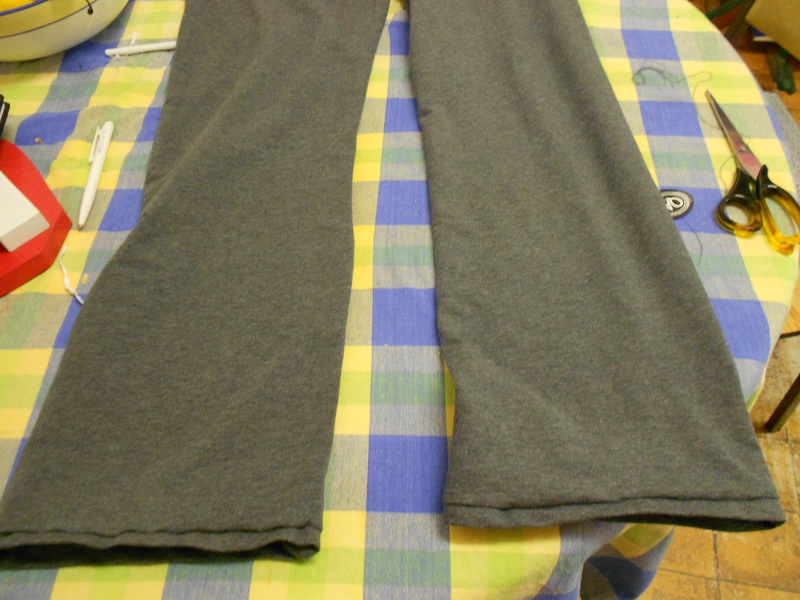 I then hemmed up my new comfy trackies that were miles too long. 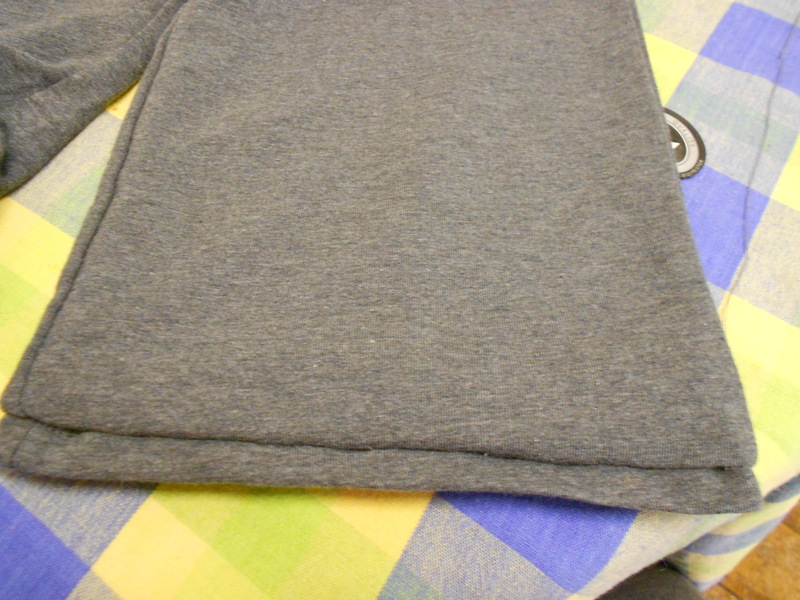 Also successful after a couple of stitching mishaps (and maybe a minor meltdown). Hooray! My next sewing project is to hem up Hubby’s nice jeans. They don’t look too nice right now because they are way too long. I’m feeling confident now to tackle nice pants. 40 years ago, my home economics teacher told me that I couldn’t make biscuits. She was quite disgusted with my efforts. I was convinced that she was right until I made some biscuits after I was married and found that not only could I make them, but they turned out pretty well. 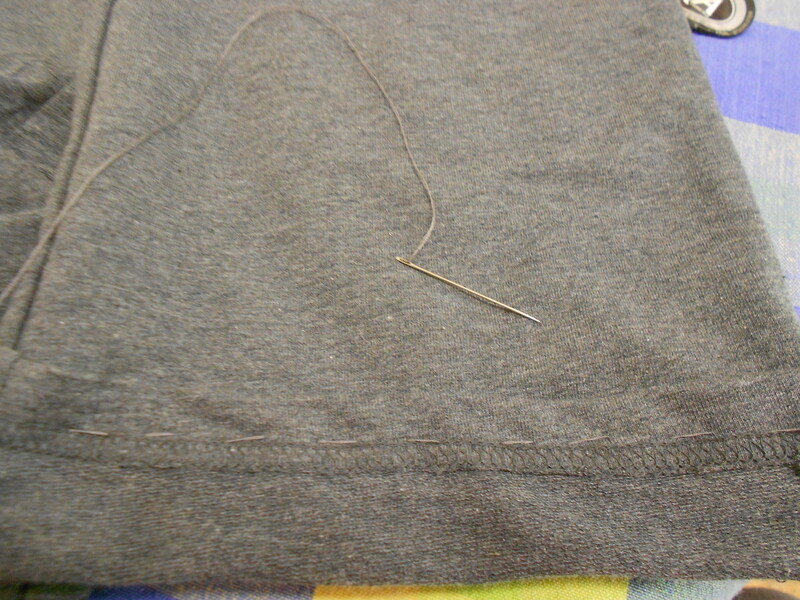 My sewing didn’t speak well of me either. Luckily, I can sew well enough and bake biscuits well enough to get by. Just in the last few years, I learned basic crochet stitches by watching you tube. Isn’t you tube great? Congratulations on your sewing progress…practice makes better and easier. Don’t worry about perfect. Nice! Thanks Ann, yeah I think perfection is overrated.